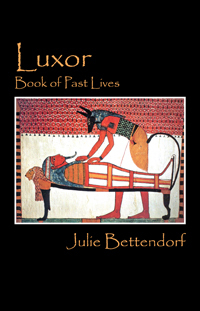 Julie Bettendorf’s “Luxor.” Set against the rich tapestry of ancient Egypt, this book is a masterful blend of fiction and historical detail, each chapter offering a window into the past. Nebamun and Iramen, embalmers in Egypt, prepare the dead bodies for a journey into the afterlife during Tutankhamun’s reign. In a parallel tale, two different brothers in 1800’s make their living by robbing the ancient tombs of Egypt. Encounter the mysterious intersections of the brothers’ lives, though separated by thousands of years and the riveting tale of violence, greed, riches and poverty. Next Next post: The Deadline for the Frankfurt International Book Fair Is Quickly Approaching!